The Nez Perce tribe lived in the region that we now call Idaho, Oregon, and Washington. Largely, they lived in close proximity to the Snake and Salmon Rivers. The name Nez Perce was given them by French fur traders. It means “pieced noses.” This was because some members of the tribe wore nose shell pendants. The Nez Perce did not farm. Instead, they wandered through the high country in search of a variety of foods. Fish was very important to their diet. The Nez Perce used a variety of fishing methods. They used spears, nets, and traps that are called weirs. They also ate wild plants and hunted elk, deer, rabbit, and mountain sheep. The Nez Perce lived in different types of homes during cold and warm weather. In the winter they lived in earth covered pit-houses. Each pit-house had a large pole in the center of the room they supported a framework. The cylindrical shaped roofs were covered cedar bark, grass, and earth. Several families occupied each pit-house. The warm weather houses were very easy to take apart and reassemble. These tent like houses were in basic lean-to style and covered in mats of woven plant matter. The Nez Perce did not make pottery, but they did make very beautiful baskets. The women even wore basket hats. Clothing was made out of cedar bark, deerskin, and rabbit-skins. Sometime around 1700, the Nez Perce acquired horses. Now they could cover large distances in the search for food. At this time they hunted buffalo and lived in large tepees that were covered in buffalo hides. The first time the public became aware of the Nez Perce tribe was after the Lewis and Clark Expedition returned. They reported in 1805, that the Nez Perce had provided them with food and shelter on their journey to the Pacific Ocean. 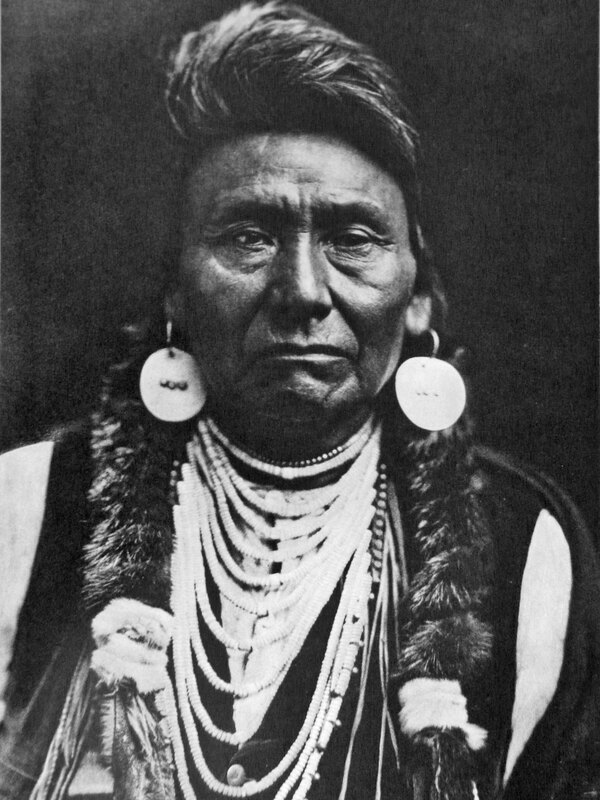 Then in 1855, the Nez Perce, who wanted to peacefully co-exist with white Europeans, signed a peace treaty that gave the new settlers a large portion of their territory for settlement. Under this agreement the Nez Perce were guaranteed the remainder of their land. However, it didn't take long for the settlers to break their promises. Before long, more and more of their territory was taken from them. Then in 1877, violence broke out when the United States Government ordered the Nez Perce off of their ancestral tribal lands and on to a reservation in Lapwai, Idaho. It started when a group of young warriors began having conflicts with a group of whites and they killed them. In return, they U.S. Calvary was dispatched to subdue the Nez Perce. What resulted was the Battle of White Bird Canyon. In the ensuing battle, the Nez Perce managed to kill 34 soldiers without suffering a death. This was the beginning of the Nez Perce War. What followed is sometimes called the Flight of the Nez Perce. The tribe, which was now led by Chief Joseph decide to make a break for freedom in Canada. During their flight, they fought numerous battles while they were chased by 3 armies over 1,700 miles. The military was commanded by General Oliver Howard. General Howard and his men overtook the Nez Perce at Snake Creek in the Bear Paw Mountains about 30 mile short of the Canadian border. The fighting lasted for 6 days. When it was over, 275 people were dead, 150 Nez Perce and 125 U.S. Soldiers.